Home Garden Accessories A kick back lily pad approach to elevated picnics. By Jackie O’Shea. A kick back lily pad approach to elevated picnics. By Jackie O’Shea. This park bench aint narrow and upright. 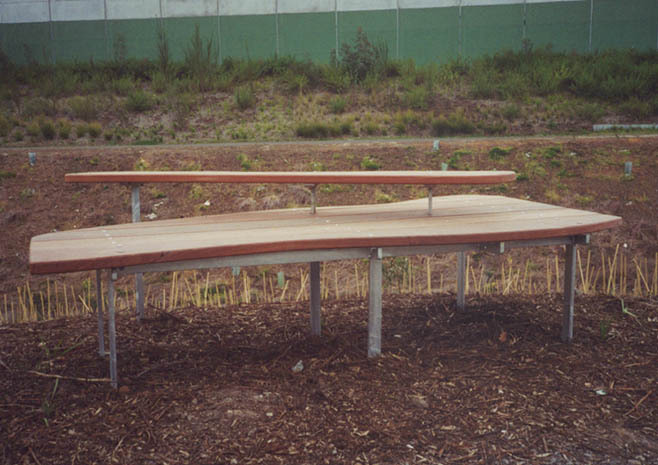 Jackie O’Shea designed a series of benches that allowed for true relaxation on a spring sunny day. She understands the park users needs. Located in Melbourne Australia these resting spots are dotted along a creek abutting a large road corridor. These photos were taken around 2003 so I guess the timber has grey off. I like the concept a lot. Spread out and kick back or picnic on the ground? 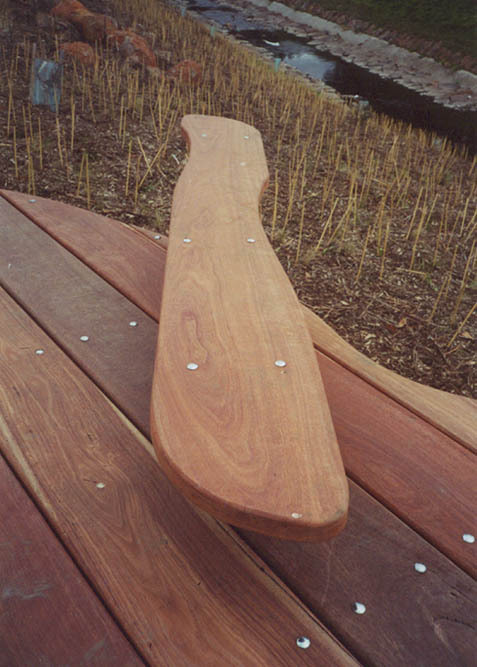 I am lying on the floating timber lily pad bench.